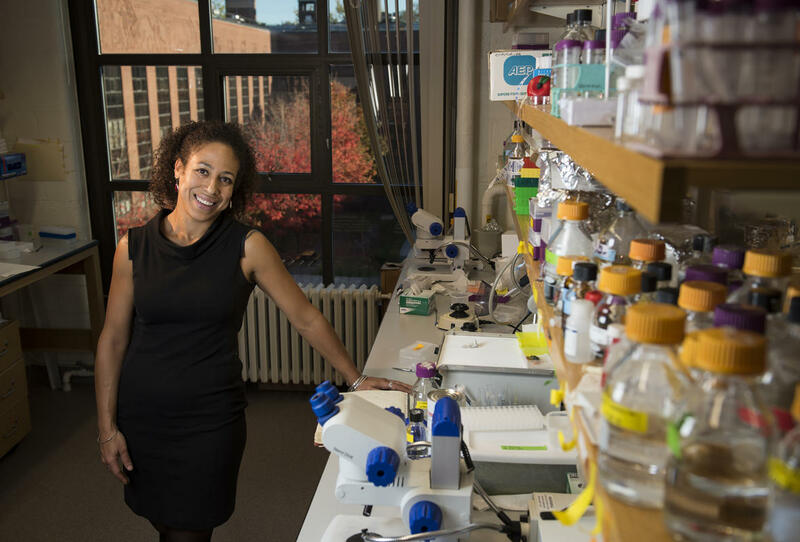 Cassandra Extavour, professor in the Departments of Organismic & Evolutionary Biology and Molecular & Cellular Biology at Harvard University, will be the featured speaker at the 2018 Juanita Greer White Distinguished Lecture Series on Thursday, March 1, at 6:30 p.m. in the Science and Engineering Building (SEB) Auditorium. Her talk is titled, "Method to Their Madness: How Cells Know What to Do During Embryogenesis?" Although animals may look very different from each other, they all start life the same way: as a single cell. The egg, this first cell, divides over and over again, ultimately generating thousands to trillions of cells. To create a functional animal, these cells need to know where to go and what to do when they get there, but we understand surprisingly little about the rules that direct these complex behaviors. Insect embryos are perfect for studying this process for many reasons: we can get large numbers of them for study, they develop quickly, and often have transparent eggshells so we can see the cells easily under the microscope. Because the basic processes of cell division and movement are the same in all animals, the Extavour lab hopes to uncover the general rules that direct the earliest steps of animal development.